It’s been a busy week for the Hyperloop One transport system. First, a student competition resulted in the winning entrant reaching seriously impressive speeds, a Space X/Tesla test pods then broke that record. Hyperloop systems work by creating a partial vacuum in the tube that the pod travels through, which drastically reduces the amount of friction, allowing the pods to reach speed which would be impossible with friction slowing them down. The system also uses magnets which allow the pods to ‘float’ above the track, which should mean that eventually the technology will be able to reach speeds to rival high speed rail or airline transport. As the first new transport system to be developed for over one hundred years, this really could completely change the way we travel. Currently Hyperloop One is the only system has been developing vehicles and tracks in order to make this transport dream a reality. In theory, hyperloop systems could reach speeds of up to 1,200km/h (746mph) and provide a new network of transport links from Los Angeles to Las Vegas, Helsinki to Stockholm and Dubai to Abu Dhabi. Hyperloop aims to complete tunnels above and underground, and are also considering the possibility of routes underwater. As a part of the development of Hyperloop One, they ran a competition inviting student teams to develop a pod of their own and test them at the test track at the company’s headquarters in Hawthorne, California. Musk thinks that with a few tweaks, they may well be able to break the 500km/h threshold, taking them close to half the speed of sound. Hyperloop One is certainly developing their technology at speeds to rival their pods. 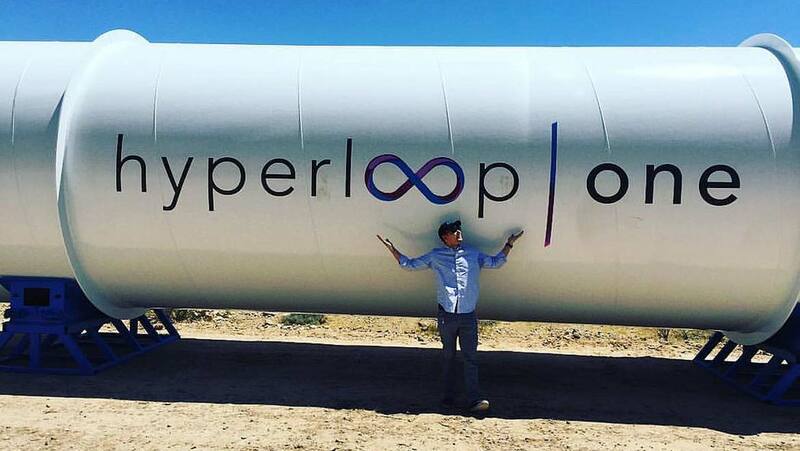 Prototype hyperloops have been built in Nevada and California, with full-scale models planned for the next few years. It certainly looks as though we might all soon be queuing up to buy tickets for this impressively speedy new mode of rapid transportation.